Aegirine is a Sodium Iron Silicate that belongs to the Pyroxene Group. ​Aegirine forms impressive crystals that have become classics among collectors. Aegirine is black to greenish or brownish black. The crystals have a vitreous lustre and are generally opaque to translucent. The crystal habit includes long prismatic crystals terminated by a steep asymmetrical pyramid. The thin edges of the crystal can be a translucent green. Aegirine has been found in Canada, Norway, Greenland, Russia USA, Kenya, Scotland and Nigeria. The name Aegirine is after the Teutonic god of the sea, Aegir, and was given when the first specimens of the mineral where discovered in Norway. This stone will encourage teenagers to get out of bed in the morning. Protects against psychic attacks, negative forces and repels evil. Aegirine is used to strengthen the immune system. Aegirine supports the cellular memory. It will enhance the healing for the metabolic and nervous system. Aegirine will aid the healing of the liver, gallbladder, spleen, muscles and bones. It overcomes muscle pain. This stone will trigger self healing and is helpful in overcoming insomnia and other sleep disturbances. It increases your general health and is a natural energiser. It assists the body in processing and eliminating toxins on the physical and energetic levels. The energy of this mineral accelerates the electrical systems of the body, stimulating the chakras and exciting the energy field. Aegirine is an excellent stone to use in support of general physical energy and stamina, and is very helpful if you are recovering from illness or injury. It is excellent for use by nurses, doctors or others who are exposed to the toxic energies of traditional hospital environments. Aegerine is used to channel positive energy into group settings. It has been used to strengthen integrity and conviction. ​​It enhances self esteem and self worth. It has been used to remove emotional blockages, allowing you to reflect on personal attitudes, opinions, and conceptions, and to accept the things that you don't want to change and initiate change in the things that need to be changed. 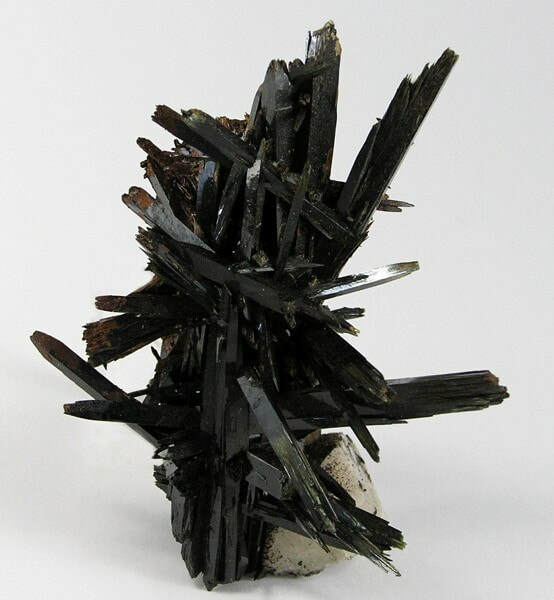 Aegirine can assist in the evolution of negative emotional patterns such as blame, shame, guilt, worthlessness and self pity. It assists you in finding the energy and determination to positively express your energy in the world. It can be very helpful for you if you are trying to break addictive habits, as it will reveal the emotional reasons for the behaviour. Aegirine will assist you to mend your broken heart after betrayal or loss. It overcomes feelings of being overwhelmed by life and your responsibilities. It will ease depression and unnecessary shame over your life circumstances. With aegirine in hand, you will see that it generates feelings of enthusiasm and a team spirit in the workplace. 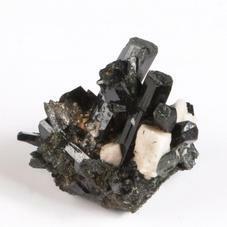 Aegirine is a good stone for women particularly in helping them overcome hidden prejudices in their workplace and for emotional support when returning to work after maternity leave. It allows you to see the bigger picture in any situation. Protects you from psychic attacks on all levels. Aegirine can assist you in following your personal convictions and morality and to do that which is required; it actually provides the strength for you to be true to yourself and others. It further eases the effects of group pressure and brings acceptance of the self without conforming to other peoples ideas. Aegirine enhances the healing properties of other stones when they are used together in a healing meditation. 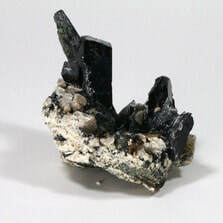 Aegirine assists you in 'seeing the light' when you have become depressed, hopeless, unhappy or otherwise embedded your thoughts with negative energy and influences. This stone will make you invisible to negative forces and repel evil. It acts to concentrate the positive energy in a group and to interact with all who are present, providing vitality, mental stimulation and unifying the group effort. Aegirine clears and balances the base chakra. Aegirine is a calming, centring and grounding stone for the whole Auric Field. It removes negative Kundalini cords and energies. Aegirine carries the energies of enlightened action, karmic understanding and spiritual commitment. Aegirine is particularly useful for Reiki practitioners or any other energy transference healing systems using the power of touch. Use this stone to defy outdated convention to follow your own spiritual path and to stand up for what you know to be right. Take this stone on journeys of self discovery whether spiritual or travelling to see new far off places; it is a good stone for backpackers to protect them against negative energies and inhospitable places and people.